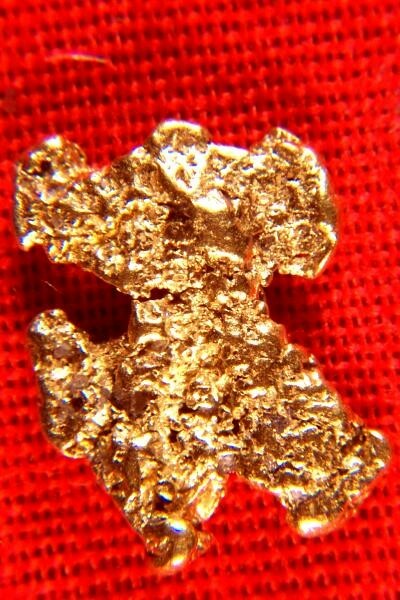 This natural gold nugget from Alaska looks a lot like Mickey Mouse. It has the characteristic Mickey Mouse Shaped with the large ears and nose and the short stubby body. It looks like Mickey is walking. 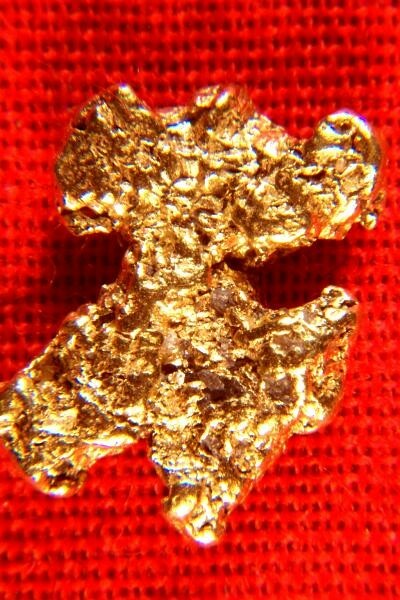 To find gold nuggets in such distinct shapes like this is very rare and unusual. This Alaskan gold nugget is 3/8" (10 mm) long and the weight is 10.2 Grains (0.66 Gram).